However amazing the invitees were, they hardly overshadowed Trump's beautiful speech. He took time to cover many bases, including education, healthcare, regulations, immigration policy, as well as law and order. Some of the ideas that Trump's espoused were traditionally Democratic, but this fits into his mantra of doing what is right for the country rather than imposing partisanship. The funny part of it was that even though Trump was reciting some things that they would normally love to hear, the Democrats were refusing to join in on the ovation. They were on one side of the floor, idle and unwavering -- the pouters included disgraced Rep. Debbie Wasserman Schultz (D-FL) and Rep. Keith Ellison (D-MI). I must give it to Sen. Joe Manchin (D-WV) for dropping partisanship and praising ideas that he realized were good for West Virginia. The preservation of our borders and the protection of our citizens was an integral part of Trump's address. He guaranteed that the construction of the "great, great wall along our southern border" is still very much a reality, and also that people who want to do us harm will not be welcome in our country. As far as Middle Eastern policy, he promised that our relationship with Israel will be unbreakable and that the DoD is developing a plan to eradicate the Islamic State in Iraq and Syria (ISIS). Jobs are an area where Trump has definitive experience, and he was sure to make several guarantees. He confirmed that he will direct $1 trillion to be spent on infrastructure programs to get the economy moving and he explained that he wants to get rid of anti-job regulations that are stymieing economic growth (his program is to get rid of two regulations for every new regulation). In the big picture, Trump intends to turn our economy around so that we can cut some of our debt and give new opportunities to the 43 million Americans living in poverty. On the subject of helping everyday Americans, Trump rolled out his healthcare plan. He wants to ensure that Americans with pre-existing conditions are covered, that there are options with healthcare providers so that no one is forced to take a plan that they don't want, that there is a free market across state lines to create competition, and that state governments have flexibility with Medicaid to make sure that no one is left out. I think that he what Trump has rolled out is a formidable, fair program that will please both the hecklers at town halls and his voters. Education policy reform was also a tenet of Trump's address. He explained that he supports school choice policies that will allow students to find the educational environment that best suits them. Trump wants to create a bill that will fund school choice efforts specifically for disadvantaged youth, specifically African-Americans and Latinos. Trump ended the speech with a heartfelt acknowledgement of our warriors in blue and in camouflage, the men and women who defend our country domestically and internationally. 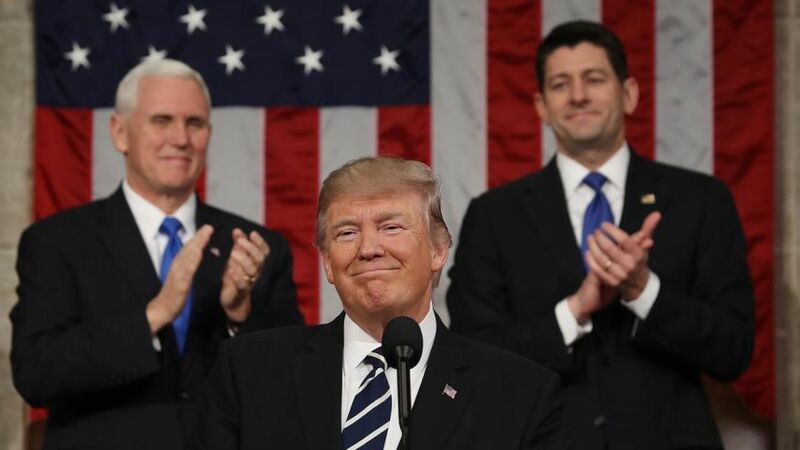 He stated that America "will be empowered by our aspirations, not burdened by our fears" and that history will remember what he and the Congress does now. He asked the legislative branch to "join [him] in dreaming big and bold and daring things for our country." To those watching the speech, Trump said, "Believe in your future, and believe once more in America." President Trump's speech was monumental. It allowed him to deliver his agenda concisely and clearly, and 40 million Americans tuned in. I will be completely honest. I figured that 2020 would be an uphill battle for Trump, considering the falters of the last month. 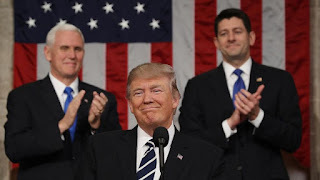 However, this speech gave me the confirmation that he can secure reelection -- it establishes that he is just as presidential as the men before him. For now, I am looking forward to great new legislation as well as President Trump's upcoming State of the Union address.